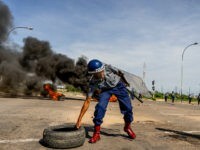 Protests against the economic crisis in Zimbabwe, which erupted Monday after President Emmerson Mnangagwa more than doubled fuel prices, reportedly prompted the government to restrict the internet over the alleged use of the social media to incite the demonstrations and sparked rampant looting in the impoverished African nation. 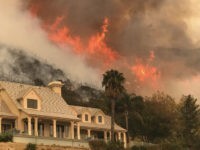 The Thomas fire, which has scorched more that 270,000 acres in Ventura and Santa Barbara counties in Southern California, is set to become the largest in the Golden State’s history, according to predictions by AccuWeather.com. 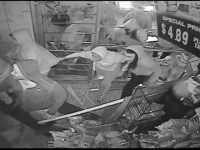 A criminal caught looting during the February Oroville Dam crisis evacuation of 185,000 residents was sentenced to potential life in prison Wednesday. Missouri Gov. 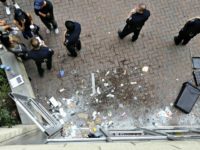 Eric Greitens warned demonstrators in St. Louis, Missouri, that looting and violence would not be tolerated as violent protesters continue to wreak havoc in the city. The Department of Justice announced Thursday that, along with Texas state and local law enforcement officials, it is establishing a “working group” to combat criminals who saw the devastating Hurricane Harvey as an opportunity. 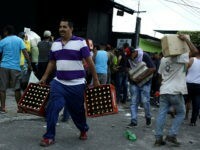 Photos from inside Venezuela have shown people participating in mass looting as a means of survival, including stealing entire vending machines and carrying them through the streets. 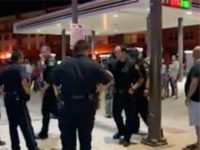 NOGALES, Arizona — Protesters in Mexico continue to take to the streets to voice their anger at the increasing gas prices while chanting “death to the evil government”. 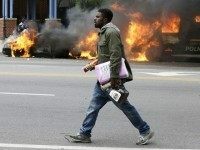 The protests have turned violent in multiple states and have also resulted in the temporary closings of various international ports of entry. 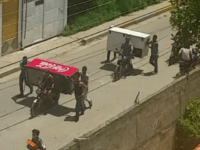 Venezuelan dictator Nicolás Maduro has announced he will allow Venezuelans to continue using the 100 bolívar bill — outlawed last week because of inflation — until January. 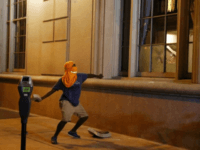 Videos from the riots Wednesday night in Charlotte show protesters looting a souvenir store, destroying a cash register, and stealing shoes out of a car. 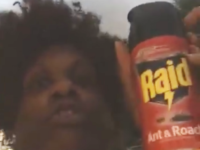 Three women were arrested in Baton Rouge and charged with looting homes abandoned during the historic and disastrous flooding in South Louisiana, reports say. 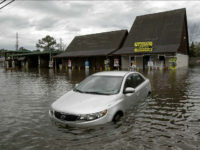 Three separate Louisiana law enforcement departments apprehended at least 14 suspects on looting charges — theft that authorities said took place during the deadly flooding over the weekend. 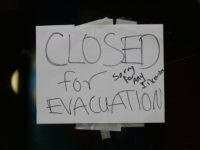 ASSOCIATED PRESS — Authorities went door to door and car to car to check for bodies Tuesday, and homeowners began the heartbreaking task of gathering up soaked family photos and mucking out houses dank with bayou mud, as the floodwaters started to recede across parts of southern Louisiana. 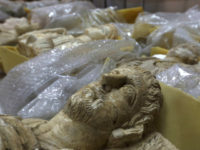 The Republican-led House of Representatives sent a bill authored by a Democrat to President Obama’s desk that would limit the ability of the Islamic State (ISIS/ISIL) to destroy cultural sites and profit from the selling of priceless antiques. 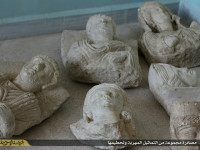 Expert witnesses, while testifying before a House panel about the unprecedented level of looting and destruction of priceless antiques by jihadist groups across the Middle East, identified collectors from Europe and the United States as top buyers of ancient artifacts illegally sold by the Islamic State (ISIS/ISIL/IS). 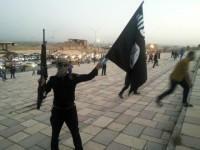 On Tuesday, the Islamic State (ISIS/ISIL) destroyed the 200-year-old Maryam Khatoon Mosque in Mosul, Iraq, which the Ottoman Empire erected in 1821. 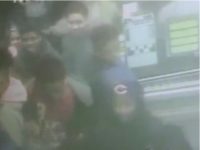 Police in St. Louis County have released a video to the public featuring hundreds of looters who destroyed shops during the riots in Ferguson, Missouri, in hopes that some can be identified.